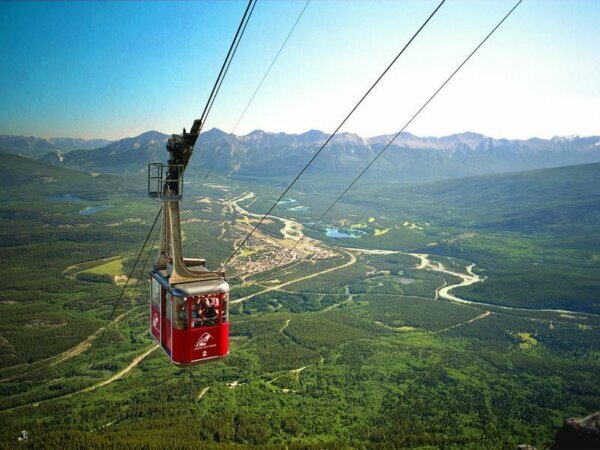 Jasper SkyTram is the highest and longest guided aerial tramway in Canada. Take a 7.5-minute ride in an enclosed tram car 1,005 meters up into the alpine zone on Whistlers Mountain, where stunning scenic views await. From the aerial tram's upper station at 2,263 meters you can see six surrounding mountain ranges, several turquoise lakes, Athabasca River and the town of Jasper. Get 15% off your adult or youth flight ticket purchase with your HI membership card from late March to the end of October.